Who can guess, all there is… BOOOOOMF… Holy Crap! 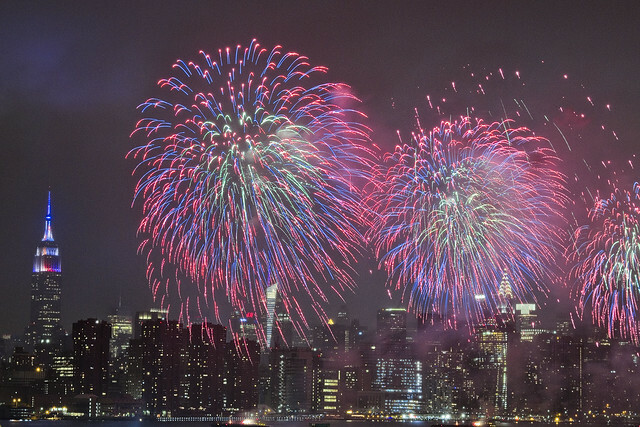 My plan for today’s post was originally going to involve fireworks, of the 4th of July variety. Wednesday night at about Midnight, however, my corner suddenly exploded. It seems that the patch job Consoldiated Edison performed in Astoria after the Great Astoria Blackout of 2006 is beginning to get a bit long in the tooth. 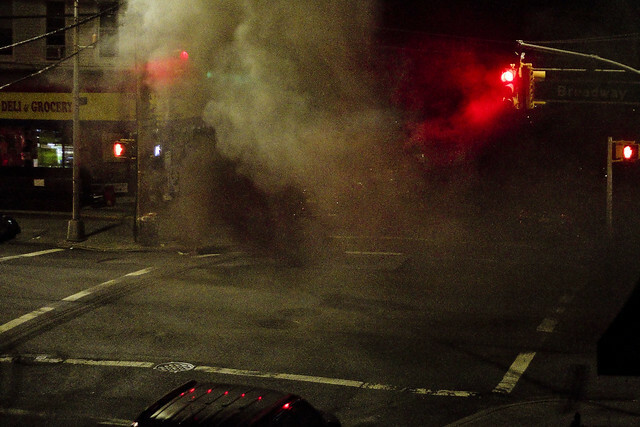 After a blast of bluish flame, yellow brown smoke and orange fire began to shoot out of the manhole. As mentioned in another post earlier this week, I’m the one who – when he “sees something,” then “says something” so I called 911 with one hand while reaching for my DSLR camera with the other. 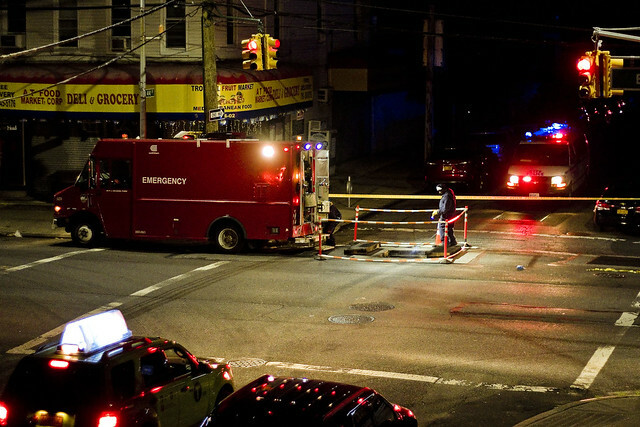 This all happened right around midnight, and at about five minutes past, the next block – specifically 44th street between Broadway and 34th avenue – went dark. Even the street lights went out. 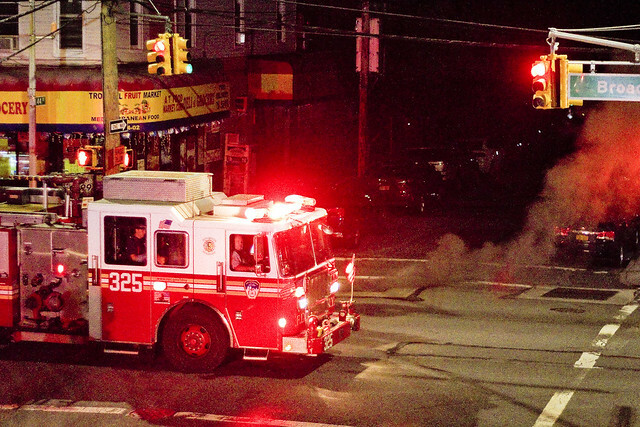 In NYC, when an emergency strikes, you want God on your side. 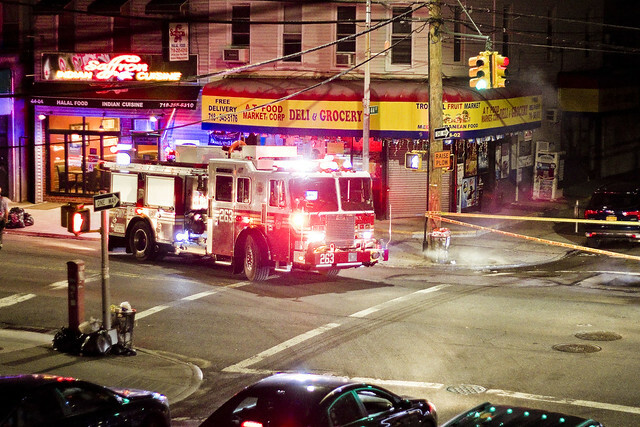 When the FDNY gets there, God can move on to other things – as they can handle most things. 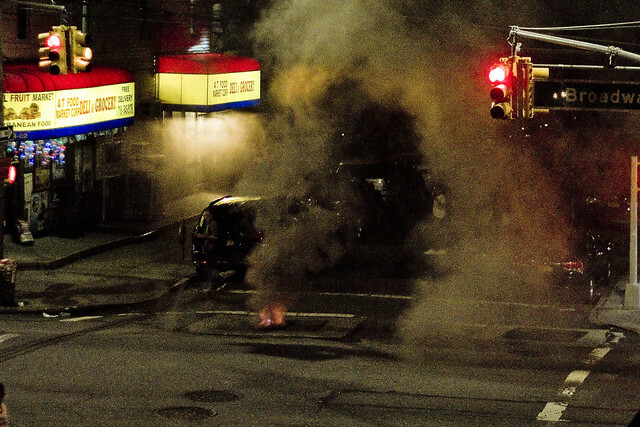 Several FDNY units arrived, and set up a cordon around the burning transformer. The fire guys began knocking on doors and inspecting basements for carbon dioxide build ups, and there were a bunch of them sticking probes into the sewers and unaffected manholes. 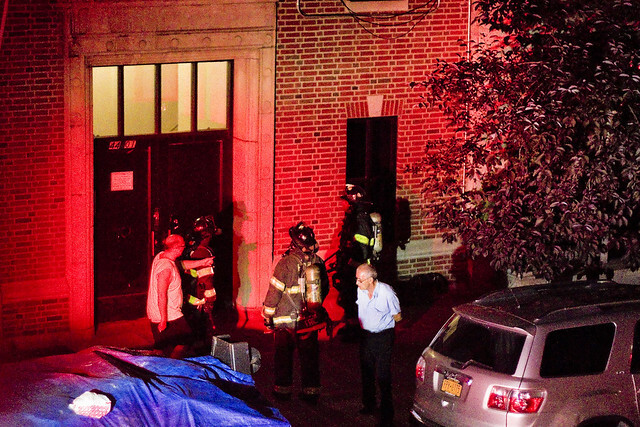 Safety tape went up just as NYPD arrived, who took charge of redirecting traffic from FDNY and began answering questions from the residents of the affected block. Before you ask, I wasn’t affected, which was very lucky. After about an hour and a half, a Con Ed Emergency truck arrived with two guys in it. 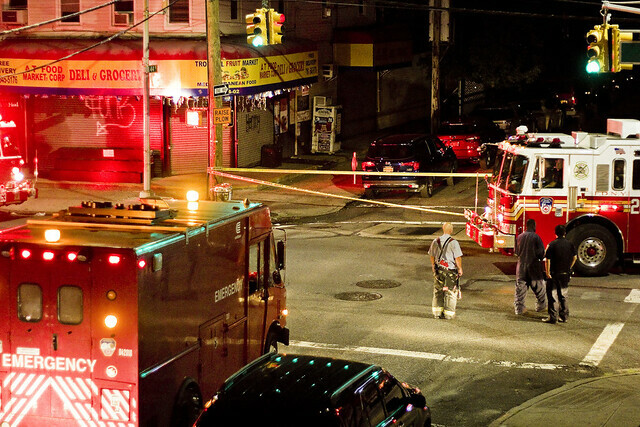 They began to assess things and the fire guys started getting ready to leave the scene. 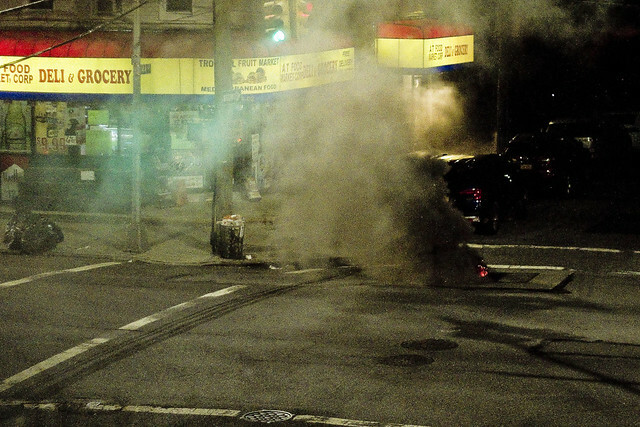 The manhole was still smoldering, but it was only emanating a trickle of white vapor by now. The Con Ed guys opened the street, and then more of them began to arrive. When I woke up Thursday morning, there was an army of them at work down there, rewiring and rekajiggering. There was also a giant pile of media trucks. WABC was here, so was NY1, and Channel 11 too. Hunters Point Park Conservancy. Click here for more details. with Waterfront Alliance (note- WA usually releases tix in batches).